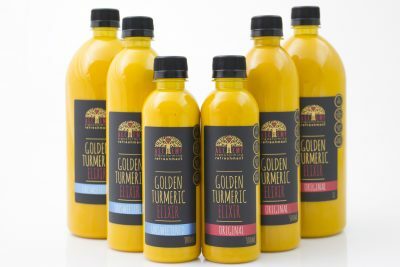 Alchemy Golden Turmeric Elixir has a pleasantly balanced earthy turmeric and ginger taste, with just a hint of cinnamon. As you swirl it around in your mouth, the creamy vanilla and just the right amount of raw sugar transforms the rawness into a delight, and finally the warmth of black pepper comes through, leaving your mouth singing, fresh and clean. Until your next sip, where it begins all over again.